I grew up in Iowa where there were a lot of Maid-Rite Shops around. We could never pass a Maid-Rite without stopping and having one. They were basically loose meat hamburger with a few spices in it, which was top secret. 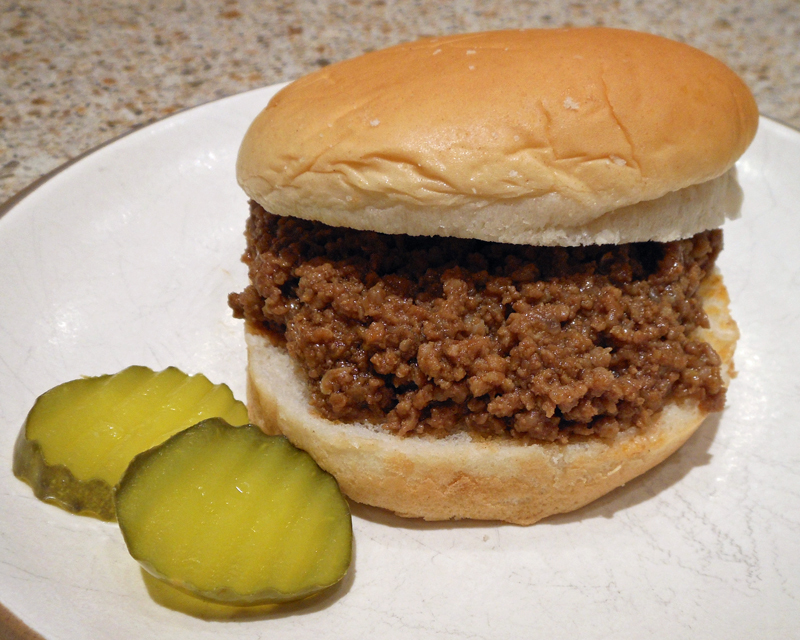 This recipe was originally named Maid-Rites, but it is more like Sloppy Joes than Maid-Rites. Whatever you want to call them, they are pretty good. You might want to make a double batch, especially if you have grandkids and a husband around. Brown hamburger and onions together in skillet. Drain off fat. Then add the rest of ingredients. Simmer for at least 30 minutes. Serve on hamburger buns.